You are here: Home / leadership / Please stop empowering Africas. And pretty much every else as well. Lets have a conversation about power. Who has it and who doesn’t? as long as I’m the one giving away the power, the power actually still is mine. Empowerment as a concept is so ingrained in the leadership literature that to dare question is to invite scorn and reprisal. As the leader of a multinational church in Dar es Salaam, Tanzania, I was privileged to work with brilliant people from all over the globe on a daily basis. And then it happened. A problem was brought to my attention. This kind of accusation had the potential to undermine all the effort we had put into creating this amazing community. This was emotional, hitting at some of my deep fears, of being a white man leading a church made of predominantly of Africans. And certainly, an extremely diverse group. My gut told me to jump in with typical empowerment language in leadership. Here’s the accidental solution that forever turned the conversation in our community. My response? The eyes around the room woke up. The dynamic in the room immediately changed. The conversation moved from accusations of ethnic favoritism to solution based ideas about why more Kenyans were finding our leadership paths than Tanzanians. Partnership, not power differentials. How can I raise up my equal? 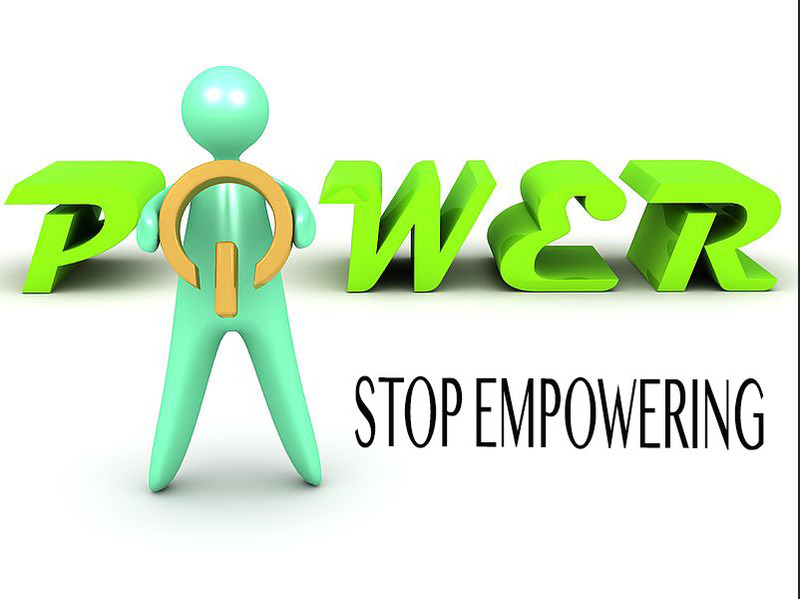 The language of empowerment is based on upon one dangerous subtle problem with empowerment. Empowerment is based on power differentials. Someone who has more power gives some of that power to someone who has less of it. That’s empowerment.Think Nuclear generator gives power to substation, gives power to transformer, gives power to your house, gives power to your cell phone. Where does the power truly come from? The battery on your phone? No, it comes from the reactor, dolling out bits and pieces of its power to dependent devices. Partners all bring their power to the table. But the Tanzanians I knew were powerful people. In our community, they were often more educated than me. Engineers and MBAs, statesmen and women, and UN representatives. Lawyers and Doctors and lecturers populated our community. But entrepreneurs and street survival PhDs as well. To make it in the dense urban jungle of Dar es Salaam, you had to be powerful. By abandoning the language of empowerment, with myself as the one in power, to be given to those “under” me, I accidentally stumbled on the greatest leadership lesson I know. We were PARTNERS in this venture to create a new kind of community. And partners all bring their power to the table. The language of partnership is one of equals coming to a common table. Sure, there are junior partners and senior partners at times, but the power dynamics and differentials take on an entirely different dynamic through this lens. We don’t empower women and people of various ethnicities because as long as I’m the one giving away the power, the power actually still is mine. But when we partner together, as equals working towards a common goal, I don’t have to minimize myself to help others succeed. And they don’t have to bring a subservient mindset to the table because they received this gift of “power” from me. To my community, I brought my creativity and positivity. I brought technical skills and years of living internationally. I brought my full self. To our partnership, my Tanzanians friends brought insight, and funds, and education and knowledge that I didn’t have. My Kenyan friends, my Zambian and Dutch and British friends brought their uniqueness and insight and beauty and genius. Together, as equals, we worked towards a common goal. As partners. Empowerment then comes in the form of junior members of the team being given opportunity. Those less experienced in leadership were shown pathways that allowed for the learning and growing that needs to happen for all of us. True leaders recognize the dignity and power pre-existing, and simply partner with partners to see growth and development. Because here’s the thing. The Africans and internationals I served empowered me. They gave me their love and care and attention and friendship and loyalty. As a leader, what greater gift can you receive?